And who is a very great individual knowing the meaning of all sastras. He who is lustrous like sandal wood. And let my neck be protected by the great devotee of Vishnu. And let my middle be protected by the darling of earth. And let my calf be protected by he who is great among knowledgeable. And let all my limbs be protected by he who wears a golden garland. Will never get any problems by the grace of son of Bhrugu. Idhi Brahmanda purane Shukra kavacham sampoornam. Thus ends the Armour of Venus given in Brahmanda Purana. The Planet Venus is also known in Vedic Astrology as Shukra, the celestial poet, son of Lord Bhrigu (var, Bhrgu), and is sometimes mistaken as the Indian version of Cupid (he is definitely NOT), an archetype of Valentine and true love and more recently, ruler of bedroom pleasures and little else. (The god of love in Vedic tradition is called Manmatha, not Shukra) The prayer above, Armour of Venus, is indicating Venus is protector of many dimensions of what it means to be human. Truth, goodness and beauty – these are the attributes of Divinity and true humanness – that is, human beings acting with integrity – vasudeva sarva midam – ever seeking divinity in all things. In Sanskrit, Truth is Sathyam; Goodness is Sivam; Beauty is Sundaram. Venus contains, releases and perpetually flashes forth different patterns of cosmic energy. Whether the ever-changing energies coming forth from Venus raises us up or pulls us down, is largely dependent on how we understand and take up, integrate and apply the energies of the planet. Venus is our sense of divine love, beauty and grace. It up to us how we use it and apply it in our journey toward the goal of life. Venus energy and its disposition within us must be in concert with the four purusharthas, the four goals of life ~ artha (wealth), kama (desire) dharma (living a life of righteousness, acting with right conduct) and moksha (the final release of the soul from the cycle of birth and rebirth). If we fail to keep these energies contained within the four purusharthas, then we obtain our justice from Venus replete with lower energies and afflictions. We should always be seeking the higher, Sathyam, Sivam, Sundaram (Truth, Goodness and Beauty) with Venus. While Venus is taken to represent the passions, and following our happiness, there is a capacity in the influence of Venus to think and to make quite sharp decisions. Venus may access the intellect in what noted Swiss psychologist Carl Jung named the feeling function (in Jungian typology) which makes decisions on the basis of what is valued, what is felt to be important. So Venus has the ability to make the best, balanced and heart-felt decisions. To know the Soul, one must know their feelings, for the soul guidance is based on feelings about intended actions. In planetary lore, Venus is a guru along with planet Jupiter. Venus disposes intelligence, for he is astute Brahmin, expert in the sastras and associated learning and is teacher of the asuras (lower demonic forces). To be teacher of the lower demonic forces places a seed within which enables aspiration and the seeking of divinity in all things. All men and women ever seek peace and a resting place from the rigours of the world, and Venus can provide this. He also provides the means for such repose with sacred teachings about the body, and grounded spiritual experiences of the body. There are multiple intelligences—kinaesthetic intelligence, musical intelligence, interpersonal intelligence which we apply to the domains of our life, the intellectual, personal, emotional, social and spiritual domains. Venus is the source of these capacities which reside within us as energy expressed as learning, skills, musical appreciation and poetic expressions of Truth, Goodness and Beauty. Seeking of these aspirations on the higher level reveals a surprising dimensions of Venus. In the graceful pursuit of truth, goodness and beauty, Venus pulverises vikarma, negative karma. This is because most people with a refined graciousness of Venus are not selfish: they make these available to one and all. People with such a Venus in their charts distribute their largesse as charitable activities. Marvellous, life-enhancing charity—they can bring grace to those in the gutters of life. This is love-in-action. 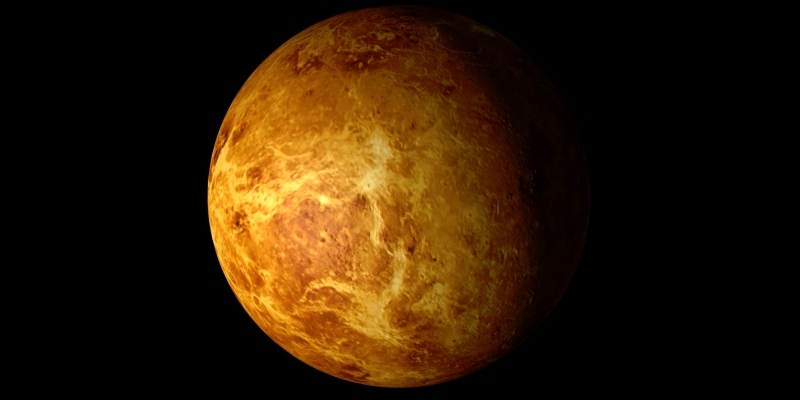 Modern science has revealed much about the physicality of Venus. As a planet distributing cosmic forces and patterns of energy, Venus distributes to four main areas of life: Property, Fine Arts, Personal Beauty and Passion. In the field of possessions, personal property, Venus gives wealth, houses, property and high status. There is nothing wrong with having wealth, it is not filthy lucre as some joke. It is a form of cosmic energy which we may use to create joy and beauty in our living, our homes, a spending of energy in property and vehicles which expresses proper use of wealth, one of the great goals of life. Excessive attachment and dissemination of ego to possessions (my status, my life is my possessions) is lower expression of this cosmic force. A home with beautiful gardens and flowers expresses the Venus energy in its highest essence. In the field of fine arts, Venus superlatively disposes energy in poetry, music, song and dance, graceful expressions of the body as vehicle of human experience in endeavours such as ballet, theatre, entertainment, artistry, painting, ceramics, pottery and statuary. Here, Venus gives expression to the divine creative manifestation, that which conveys life as expression of the beauty (sundaram) aspect of the form-filled, visible Divinity. The Bhagavad Gita begins: “Dharmakshetre kurukshetre” the field (place) of righteous action is the field (place) of the human body. Here, personal beauty in action is care for the body, appropriate clothing (society judges you by the clothes you wear), finery, perfumes, jewellery and other gracious adornments of the body. The impulse to exercise and keep fit and honour the body as expression of right order of the Universe and moving temple comes from Venus. Venus disposes participation in exercise and sports: exercise and sport enhances mind-management, self control, coordination and balance. Competition in sport is also tempered with spending of energy (something Venus enjoys) in a manner that expresses the capacity and the heights of human physical and sporting endeavour, with right conduct, dharma. This is expression of balance-in-dharma as we engage in pursuit of the goals of life. Passion is an affection of the mind. Passion is any kind of feeling by which the mind is powerfully affected or moved; a vehement, commanding, or overpowering emotion; in psychology and art, any mode in which the mind is affected or acted upon (whether vehemently or not), as ambition, avarice, desire, hope, fear, love, hatred, joy, grief, anger, revenge. Herein lies the key: passion originates in the mind driven by the rays of light within which express the energies of Venus. One has to master the mind and be a mastermind in disciplined, controlled enactment of passion, or fall prey to the ego, its outgoing expression of “I, Me, Mine”. Gimme More! Pleasure, Pleasure, Pleasure! Passion is not a bad thing; passion sits within us, and is most satisfying and grants Truth, Goodness and Beauty if it is disciplined use of passion. Everyone needs to love and be loved. Affection, succourance and nurturance are three basic needs of the human person. Venus disposes these needs and energies in the form of light within. Love makes space for the other within to exist, to be, without affectation or excuses; Love allows me and the other to be “Who I am” with all my neediness. Love is not a battle of possession and territory, possession of a person, territory of a body. Infatuation with another is an evil, for infatuation collapses ego boundaries and seeks to make the other One with the self. The small self cannot sustain such ingress into ego for long and sooner rather than later, ego boundaries are re-erected and discounting and repugnance of the other sets in like brown-rot. Siva Purana is replete with narratives of divine beings engaging in pleasures of the bedroom. Herein, the human pursuit of amorous experiences mimic the very essence of the Divine sports. Sreyas, the sexual fluids, carry the very life-force itself, and the climax of sexual experience is frequently experience of the Divine itself: sat (being), chit (awareness) and ananda (bliss). This is what all people are seeking. The blissful experience which accompanies the explosion of the autonomic and sympathetic nervous systems within the human form dispose this verisimilitude of bliss. Desires should be kept within limits; the heart is not a musical chair; the body is not a musical bed. There should be steadfastness and single pointedness in relationships. One should not fall prey to the darkness of Kali Yuga and take up multiple relationships. For every action, there is a reaction; if you let Kali Yuga get into you, it will become Kalaha Yuga, always looking for more. For every relationship you engage and terminate—where you have taken up pleasures of the bed—you have to reincarnate and finish a life with those partners. Venus is one of the Gods; one should seek the higher part and leave off the shallows of short-lived desires. The upside of passion is peace, calm, being, spending of energy which immerses us within a joyful experience of true humanness: activity which is expressing truth, love, peace, right conduct and non-violence. The downside of passion is enslavement to desire and the ego, which perpetually seeks satisfaction of desire, on behalf of “I, Me, Mine“. In its lower expression this desire is named lust, a fire which never goes out. One learns from the Buddha, master desire, master the mind, master the passions with right thinking, right vision, right feeling, right action. Else, be bogged down in old age: the teeth go, the hair goes, the hearing goes, the eyesight dims, and old people ogle the young—resentful that they are unable to slake their thirst and lust. Venus grants the beautiful things in life, joy, intelligence, physical beauty, and the higher, finer expressions of these in Truth, Goodness and Beauty. These are appellations given to the Divine, Sathyam, Sivam, Sundaram, and always applicable to humans seeking true humanness. After all, each and every person is a spark of the divine, an embodiment of Divine Love. He who is very neat and he who decorates himself in white. He who is an expert in Vedas and he who has a poetic soul. He who ravels towards wisdom, he who blesses us with sons. He would be learned and Shukra would be pleased him and give him all he wants. Sri Ramachandra was born on a day when the planet Sukra (Venus) entered Meena (Pisces). The month of His advent marks the beginning of Vasantha ritu (Spring). It is the time when the sun enters Mesha Rasi (Aries). Sri Rama’s incarnation as a human being was for the purpose of promoting peace and happiness in the world. “Ramo Vigrahavaan Dharma” (“Rama is the very embodiment of Righteousness”). It was as if Righteousness itself had incarnated on earth. Dharma and Rama are inseparable. The presence, the influence, the grace of a well-placed Venus in the birth chart is shown by worship of the Divine Mother, bhajans, singing of hymns, music, dance, multimedia such as film-making, like this. Venus also reveals influence in painting, garden ing, poetry, stage acting, walking and communing with nature, arts and crafts, cooking, sport and enjoyment of food. To discover the strengths and influence of Venus in your life, seek an astrological reading with the Puttparthi Vedic Astrologer, Sai Bharathi and make payment thought Paypal. Necessary details include: Date of birth, place of birth, time of birth. Payment is made to Sai Bliss Centre.